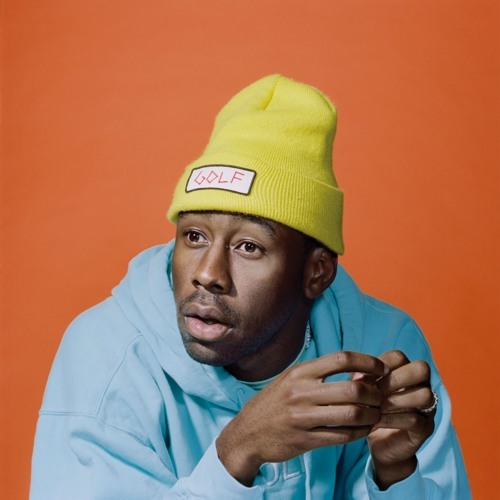 Tyler Gregory Okonma (born March 6, 1991), better known by his stage name Tyler, The Creator, is an American rapper and music video director. Born in Ladera Heights, California, he rose to prominence as the leader and co-founder of the alternative hip hop collective Odd Future and has rapped on and produced songs for nearly every Odd Future release. Okonma also creates all the artwork for the group's releases and said in an interview with radio presenter DJ Semtex, that he designs all the group's clothing and other merchandise as well. After releasing his debut album Goblin under XL Recordings, in April 2011, he signed a joint venture deal for him and his label Odd Future Records, with RED Distribution and Sony Music Entertainment. Following that he released his second studio album Wolf, which was met with generally positive reviews and debuted at number three on the US Billboard 200 selling 90,000 copies in its first week. He also has his own clothing company, called Golf Wang, started in 2011.